For larger swirl outlets for measuring volume flow, temperature and relative humidity. For all air conditioning and ventilation measurements. A detailed look at the fields of application is helpful when it comes to deciding which flow meter is suitable. 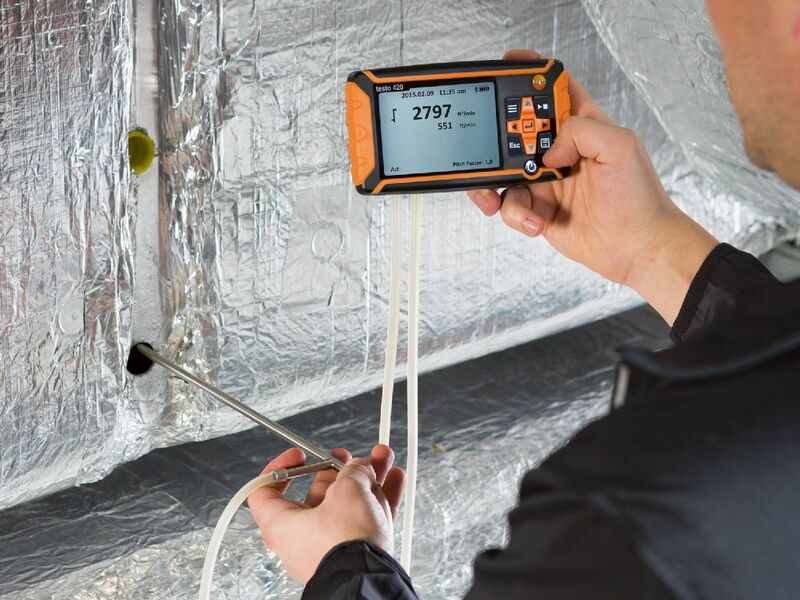 They are particularly frequently used for duct measurement. Here they are used to enable airspeed to be controlled in the duct. The ventilation duct is one of the most important core elements of air conditioning and ventilation systems. The use of flow meters is also a solution to enable the function to be controlled in this area. However, it is not only air conditioning systems that need to be efficient. This aspect should not be underestimated when it comes to duct outlets either. Outlet measurement is therefore another factor which needs to be taken into account in terms of flow measurement. The anemometer can be a particularly great help in this respect. Even small changes in volume flow can affect the system. The influence of airspeed on the ambient conditions in different rooms is underestimated. The comfort level that a person experiences in a room is heavily dependent on the environment. Temperature and humidity, as well as airspeed, have an influence on this. A thermal anemometer is particularly frequently used in these areas. However, the vane anemometer may also be a good choice in terms of obtaining effective values. 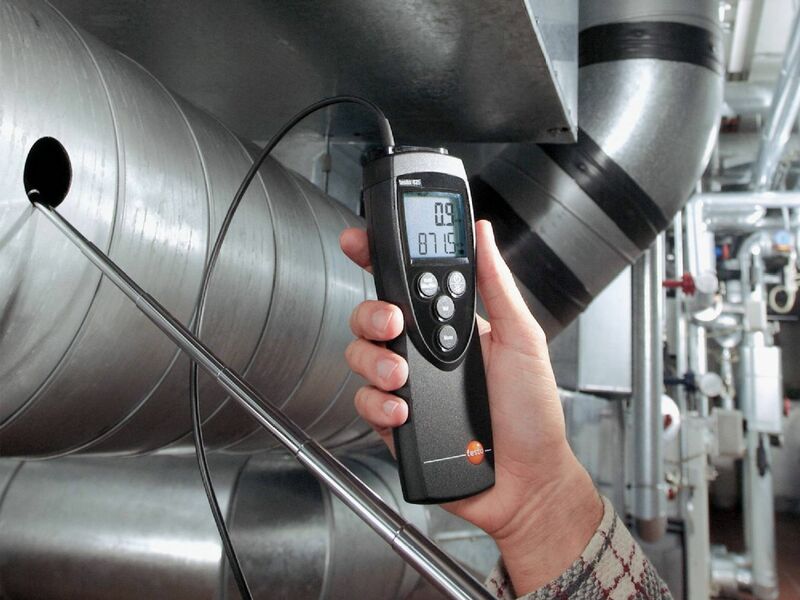 In relation to flow measurement, it is worth going back to air conditioning systems again. Air conditioning systems are equipped with a filter. Regular control is advisable to ensure their optimum operation. Filter measurement can be carried out using an anemometer. This is the only way to prevent dirt from being able to find its way inside through the filter and harming the indoor air. Flow measurement can become a challenge if you do not have the appropriate instruments to hand. 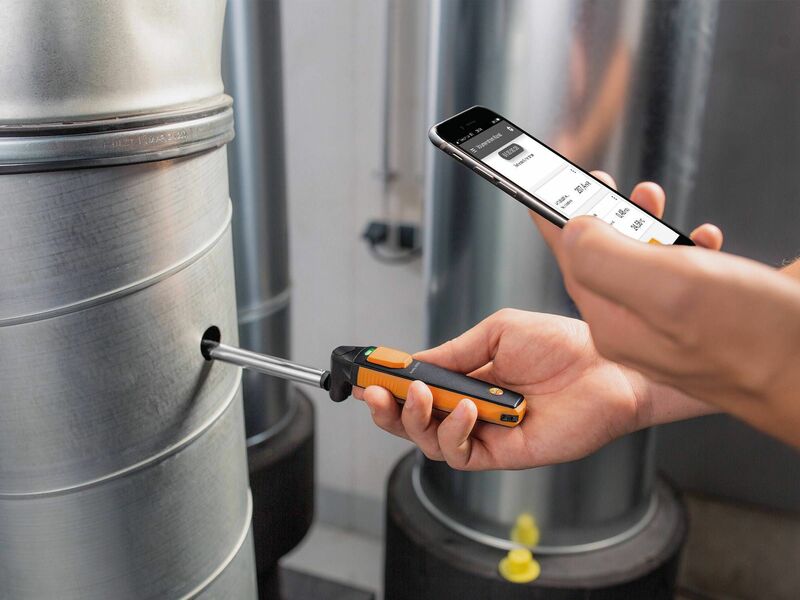 When you are searching for a flow meter, it is therefore important for you to check exactly what values will be recorded by the instrument. A classic wind speed meter has different features from a thermal anemometer or a volume flow hood. It is possible to measure flow with various instruments. However, they are variable in terms of the specific features. So, a vane anemometer is for example capable of a timed and multi-point mean value calculation. This may not be provided by an air velocity & IAQ measuring instrument. The air velocity & IAQ measuring instrument instead has considerably more fields of application. It is one of the most popular flow meters and has the quality of not just being able to measure flow. The focus here is also on temperature and pressure, as well as humidity and heat. This means you are able for instance to analyze the environment precisely and to respond quickly when changes occur. It may also make absolute sense to measure wind speed outdoors. There are several areas where this is an important factor. 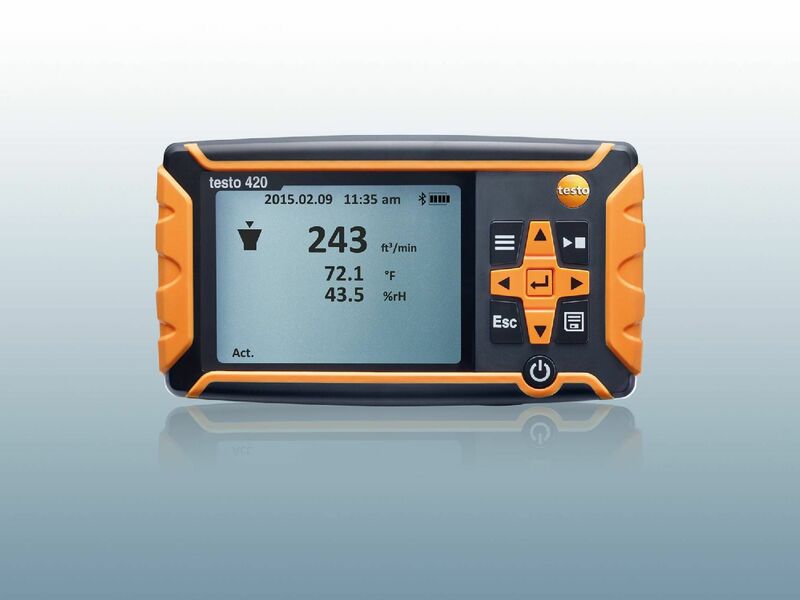 The wind speed meter is for example designed to carry out spot measurements. 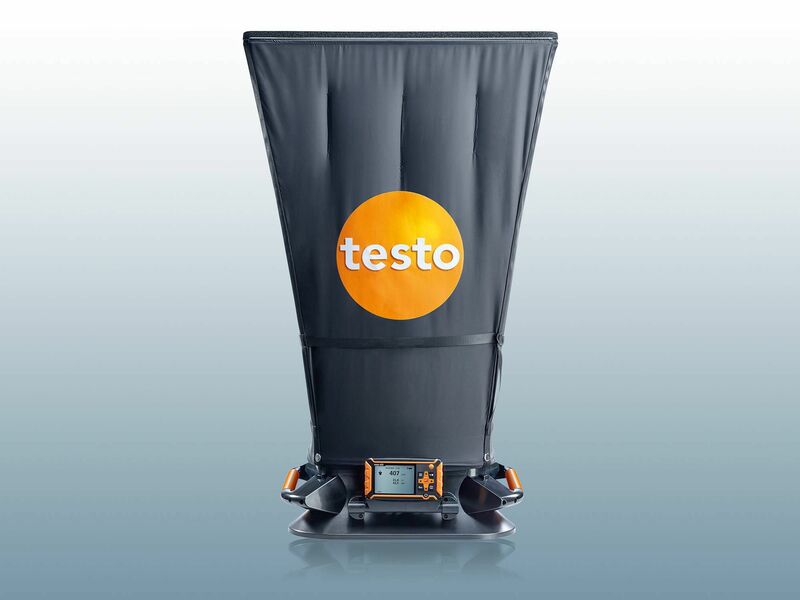 In this respect, Testo's instruments are not just capable of implementing one unit, but of working with different ones. The vane anemometer is for instance very effective here. Depending on the model, it is able to offer different displays. This enables you to choose between windchill and Beaufort calculation, as well as between kts, km/h, m/s or also fpm and mph values. Let's go back to indoor flow measurement. 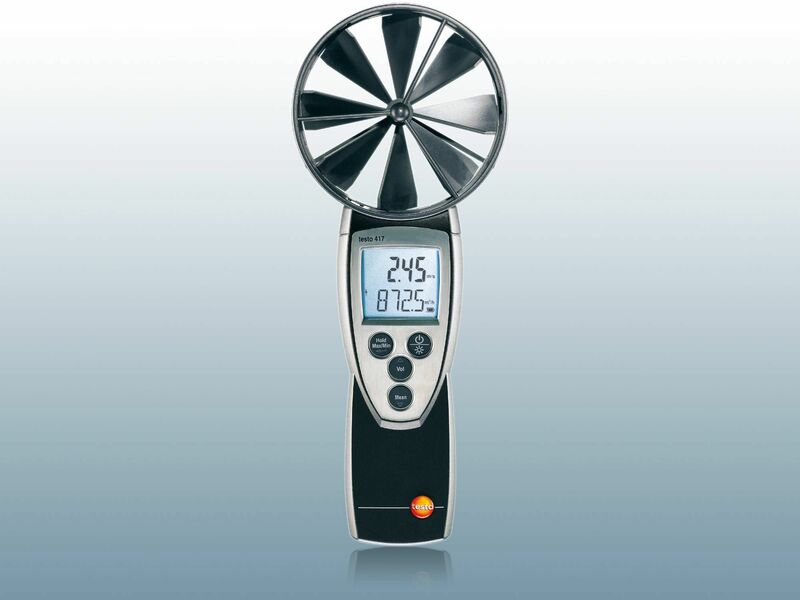 In this area, the anemometer is also an ideal choice that can make a lot of things easier. 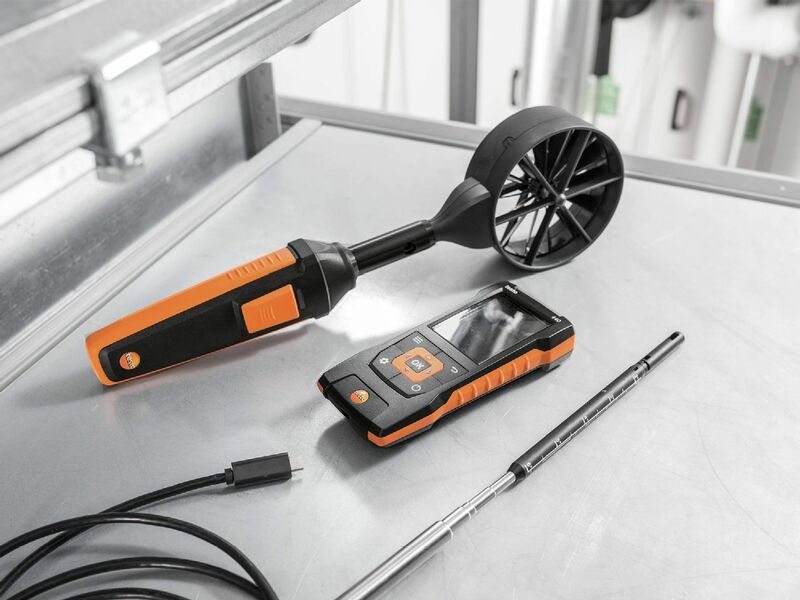 The vane anemometer, or the addition of a vane probe to an anemometer, enables measurement of volume flow and flow rate. 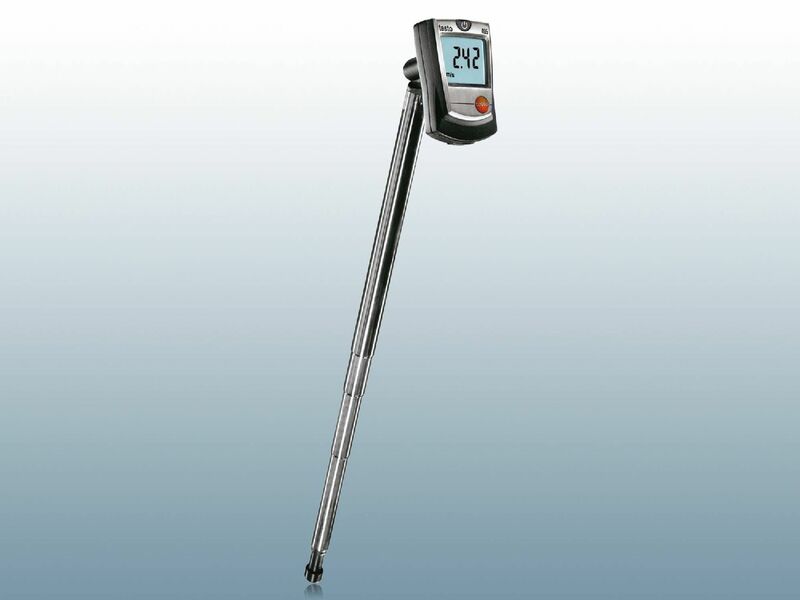 The measuring ranges provide information about what the maximum strength is for flow recording. However, flow measurement can also be carried out using a differential pressure measuring instrument. This can for instance be very easily fitted on a ventilation duct and used there. You may still need additional accessories for flow measurement. Here too, you will find just what you want at Testo. 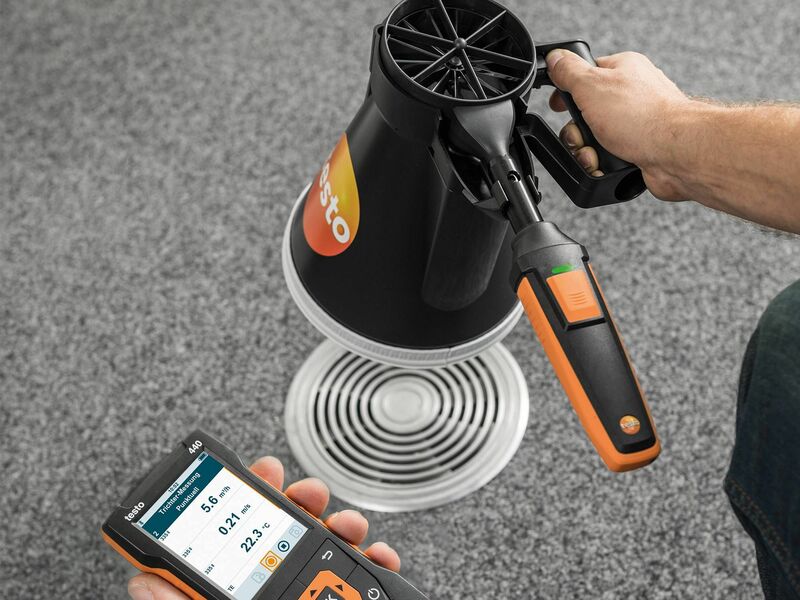 If you are convinced of the benefits of using a flow meter, you will find just what you want at Testo. Here, you can choose from a variety of models. In doing so, you have the option of following different routes. 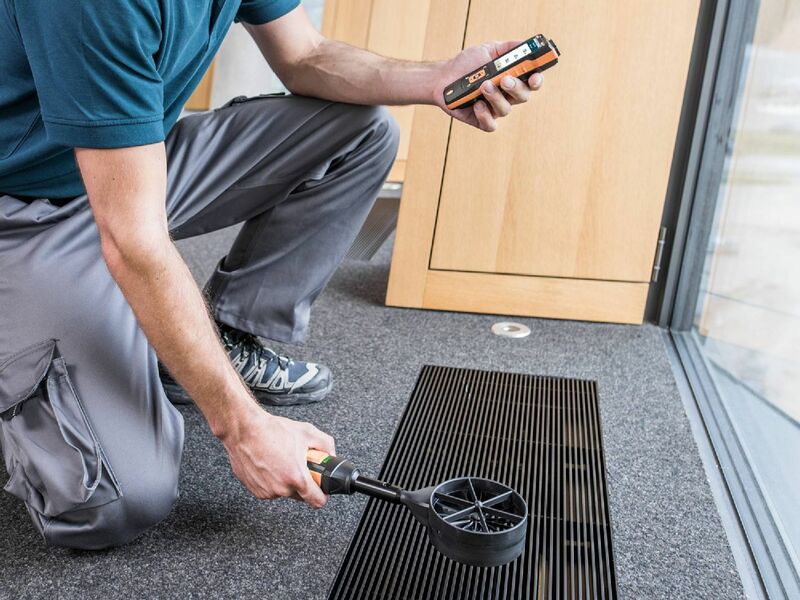 Both indoor and outdoor measurements are possible with the instruments. In some cases, you can also take advantage of smartphone operation which makes the meters even easier to use.